Golden State Warriors guard and NBA MVP Steph Curry took to the tee at a celebrity golf tournament. It also gave him a chance to catch a pass from Aaron Rodgers. The offseason is a great time to relax, to gather with some friends and enjoy some fun, including some golf. When you are one of the stars of the NBA, you get asked to play in celebrity golf tournaments. And that is just what Golden State Warriors star Steph Curry is doing. This weekend is the American Century Championship in Lake Tahoe. For the Pro-Am event on Friday, Curry found himself with two great players in their respective sports: Green Bay Packers quarterback Aaron Rodgers, and San Jose Sharks center Joe Pavelski. We all know Curry can shoot and handle the ball. We also know his warm-up routine is a bit more dramatic than most. It often includes a bit of football action. Well, he took his love of football to the tee box. Running down the right side, Curry gives a little shake, and cuts to the middle. The catch would require a call to the replay booth. Not a bad play, considering he overran the pass and slipped. And, maybe the nose of the ball hit the ground. But we will allow it. This time. The pair of Curry and Rodgers reunited this week after being seen chatting during the NBA Finals. 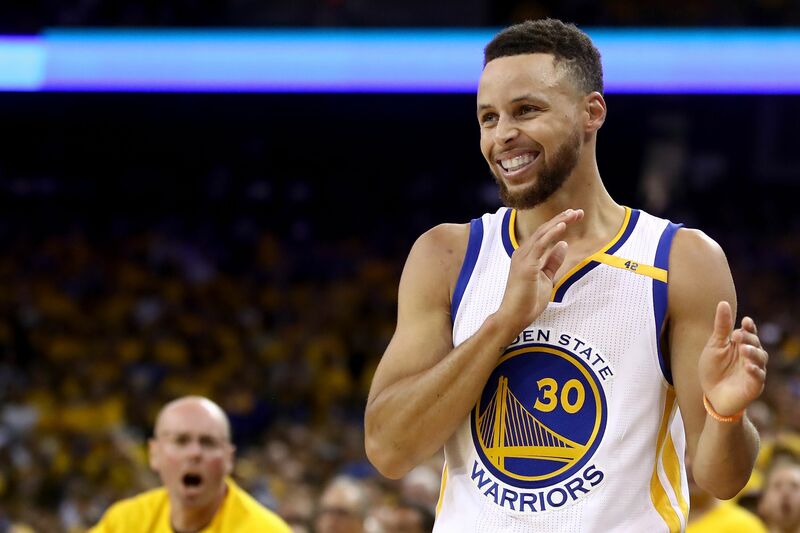 There are no talks for them to join forces in a super-team, but leave nothing past Curry. The tournament features several other celebrities, like Justin Timberlake. It appears that he has range like Curry. But, then why is there a basketball hoop on the golf course? Oh well. Looks like everyone was having fun. No idea what the golf scores were, but not sure that matter either.